Scheduling resources for projects can be difficult, especially if you have a large group of workers that you are trying to manage. 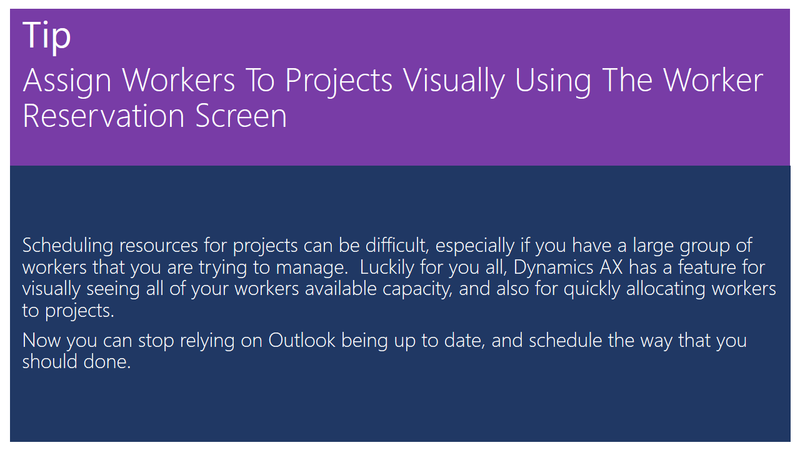 Luckily for you all, Dynamics AX has a feature for visually seeing all of your workers available capacity, and also for quickly allocating workers to projects. Now you can stop relying on Outlook being up to date, and schedule the way that you should done. Open up your project and from within the Project and Scheduling group, click on the Add Roles menu button. 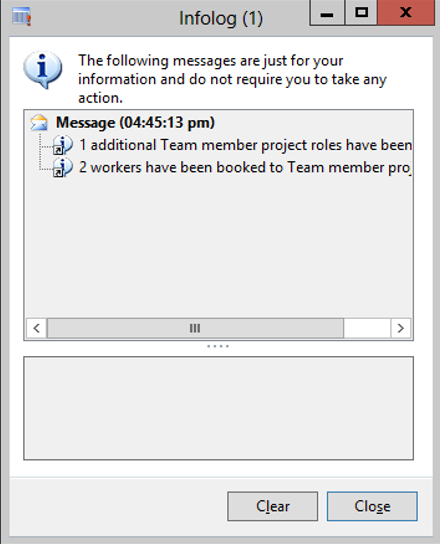 When the Add roles to project selection box is displayed, select a Role Template and then click on the OK button. When the Worker Reservation form is displayed, you will be able to see all of the workers that are available for the project, also with the capacity that’s available. If you mark a worker, then all available capacity will be assigned to the project. 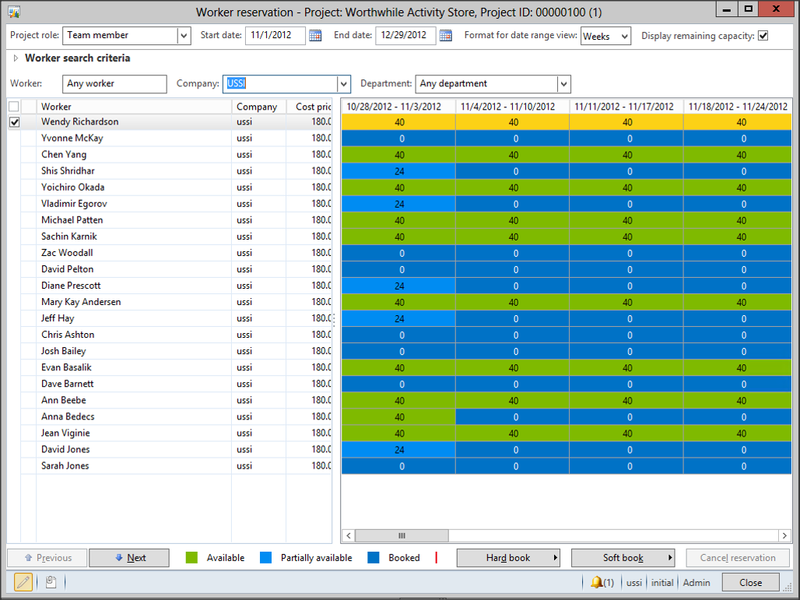 You can also click on any available capacity of the worker to mark them as assigned for the selected periods. When you have done that, click on the Hard Book button to allocate the resources to the project. Even though you initially created a selection for one worker within the project, if you select multiple workers then the will be added to the project as well. Now when you return to the project, you will see that the workers have been assigned as resources. First off, thank you for this post. It’s very interesting. I do have a quick question. 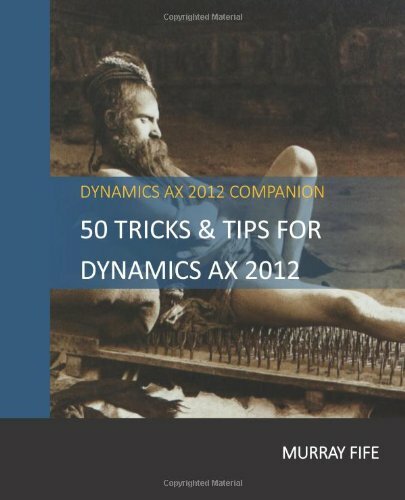 Which version of AX do you use. 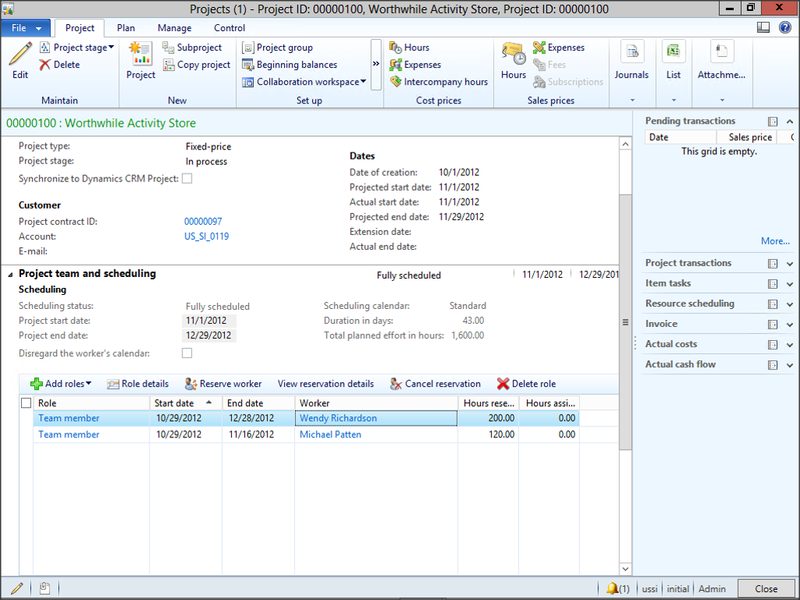 I have AX 2012 installed and I’m missing the “Project team and scheduling” Tab. My first Tab is “General” and second is “Setup”. I also looked in the AOT to check if the Tab is not set as Visible: False, but it isn’t there. This example was created through the CU7 demo system. I noticed that it looked a little different from the CU6 environment, but I think the same functionality is in that version as well. Probably just titled different. Hello, I see you can allocate times for a project but can you log the actual time spent on that project? 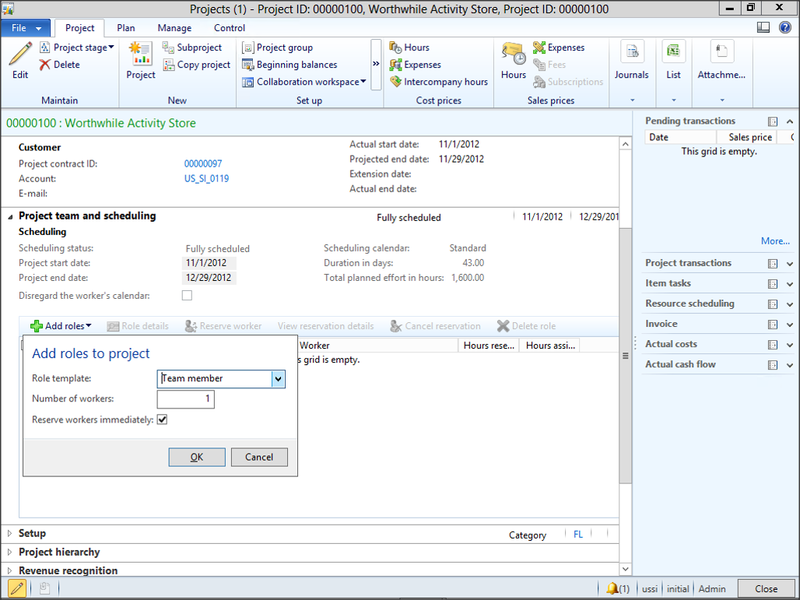 Also can the project reference a line item on a sales order or just an individual released product item? We do a lot of custom one time engineering projects and would like to use AX to log our engineering times.